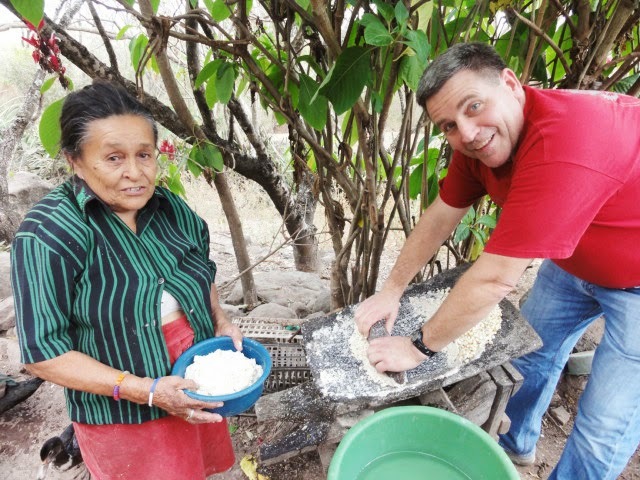 A Project FIAT volunteer works alongside a local villager to prepare food for the community in Salvador, El Salvador. (Vatican Radio) Pope Francis thanked voluntary workers across the globe describing their work with men and women in difficulty as a living witness of the tenderness of Christ, who walks with humanity in every era. Speaking to members of FOCSIV, an International Federation of Christian Voluntary Workers whom he received in audience on International Volunteer Day (December 5), the Pope says voluntary workers offer an image of a Church that rolls up its shirt sleeves and bows to serve its brothers and sisters in difficulty. Pointing out the fact that poverty must never be an occasion for someone else’s gain, the Pope invited voluntary workers to persevere on their unselfish path. He notes the changing face of poverty in a world in which – the Pope said – the poor themselves want to become protagonists of their lives putting into practice solidarity amongst those who suffer. He told the volunteers that they are called to take notice of the signs of the times and to become instruments at the service of the activism of the poor. Solidarity, he said, is a way to make history together with the poor, turning away from alleged altruistic works that reduce the other to passivity. The Pope’s message comes on International Volunteer Day during which an annual Prize is awarded. This year the Award went to Maria Luisa Cortinovis: wife, mother, grandmother, teacher and missionary. She received the Prize during a ceremony held at Vatican Radio. See the original piece and listen to the radio version here.